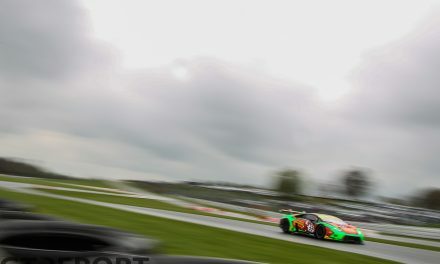 From the North West of England to the East of Belgium, after six months and 375 laps of racing, the British GT Championship titles will be decided by just two hours of racing at Donington Park. 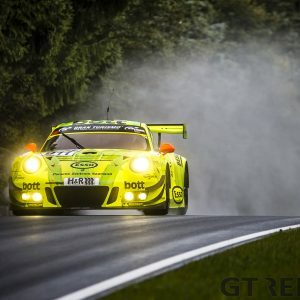 Jonny Adam comes into the final round of the year staring at a place in the history books, as he aims to be the first driver in British GT history to secure three drivers’ titles, which he could achieve in the space of four years with three different teams should he continue his strong run of form for Optimum Motorsport. Lining up beside him in the Aston Martin V12 Vantage GT3 is Flick Haigh. 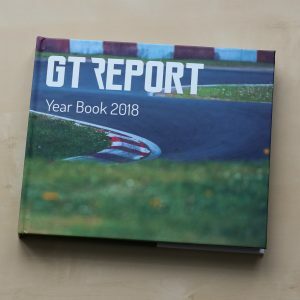 The former Caterham champion has hit the ground running in her first season of British GT and could also put her name in the record book as the first female GT3 champion. The pair’s two wins and a string of podiums has helped them open up a 27.5-point lead to the chasing pack behind and with just 37.5 points available for a win, Adam and Haigh are in the prime position to secure the title. “Flick and I are in a good situation with a 27.5 points lead, but we have to overcome a 20-second pit stop penalty from our win at Brands Hatch. We know what we need to do, but the key is to make sure we go into the weekend ready to deliver just like the season as a whole,” Adam explained. However, the Barwell Motorsport pairing of Jon Minshaw and Phil Keen can never be discounted in their Lamborghini Huracán GT3. The pair have been in contention for the title in the last number of seasons but could never get their hands on the crown. One thing going in their favour are pitstop success penalties. 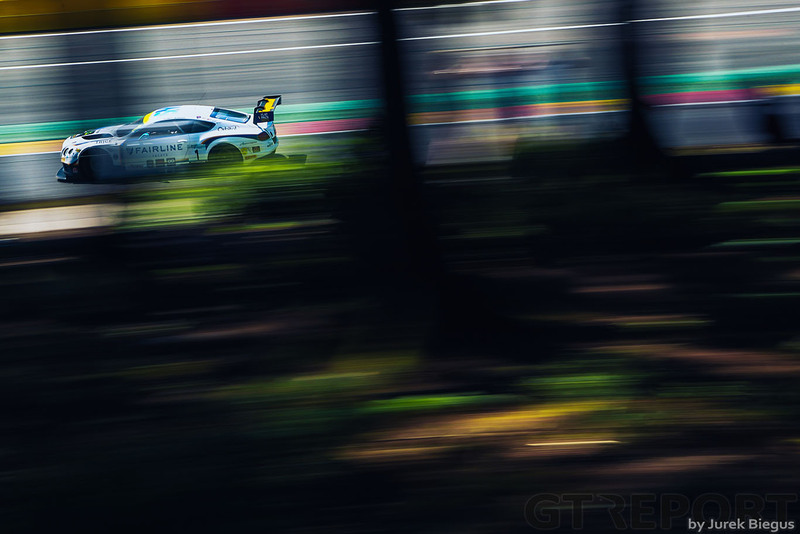 Keen and Minshaw don’t have to spend any extra time in the pits, whereas the Optimum Motorsport crew has 20 seconds to wait, thanks to their win at Brands Hatch in August. If Minshaw and Keen were to win the race, Adam and Haigh would need to finish sixth or higher to cling on the crown. 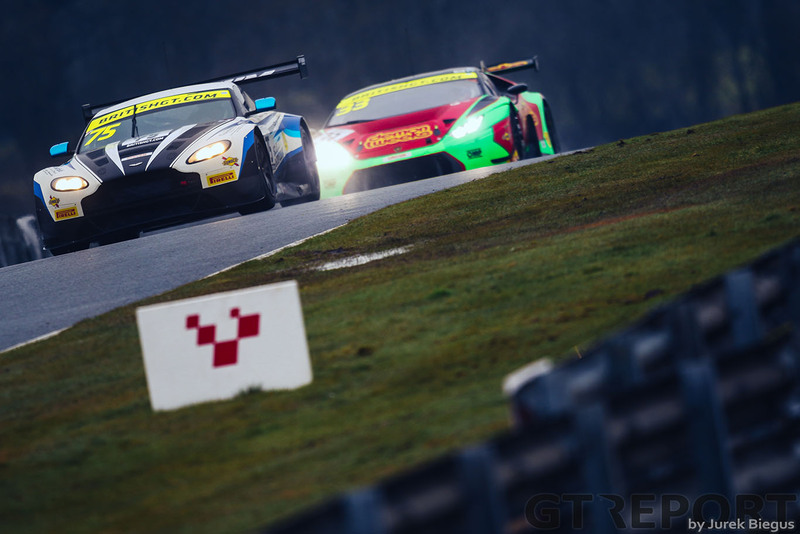 Third in the standings are Mark Farmer and Nicki Thiim in the TF Sport Aston Martin. The pair have taken two wins this season, but trail by 28.5 points. Their only hope of securing the title is the retirement of the two cars ahead. 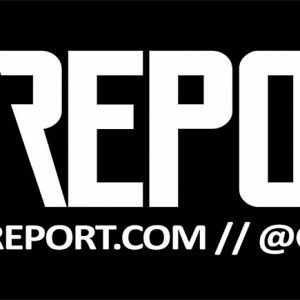 They could however, help their team secure the teams’ title as TF Sport currently lead the category by 31 points. Elsewhere in the top class, Derek Johnston will be competing in his final British GT race before heading into retirement. Another champion also hanging up his boots, hopefully temporarily, is Rick Parfitt – the 2017 champion will be looking to end his season on a high at a track that suits the Team Parker Racing Bentley Continental GT3. 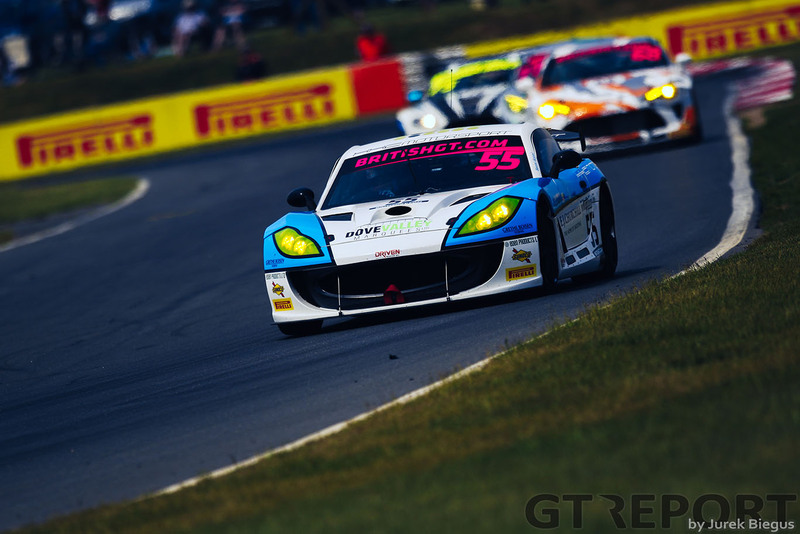 Also noteworthy is the addition of 2016 GT4 champions Graham Johnson and Mike Robinson to the top class for this weekend. 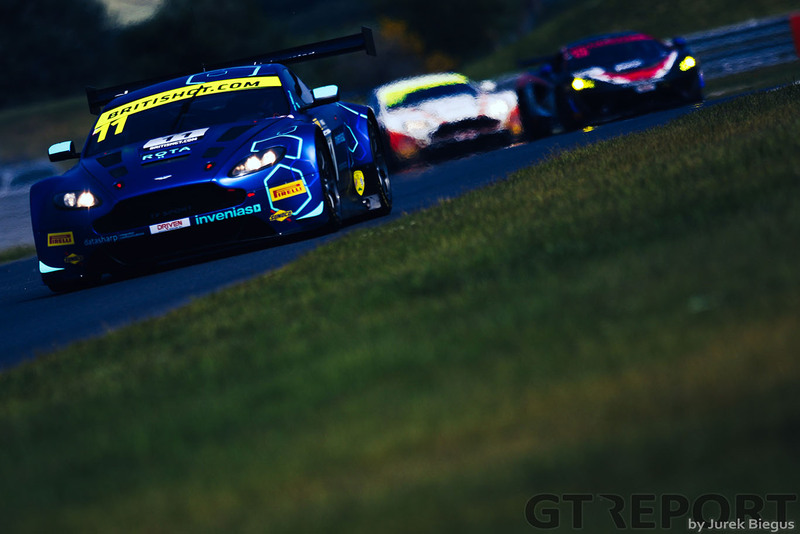 The pair are front-runners in a Balfe Motorsport-prepared McLaren 570S GT4, but they’ll end the season in the team’s 650S GT3 as they scope out potential programmes for 2019. For the first time in the history of the class, five pairs go into the #DoningtonDecider with a mathematical chance of walking away with the crown. 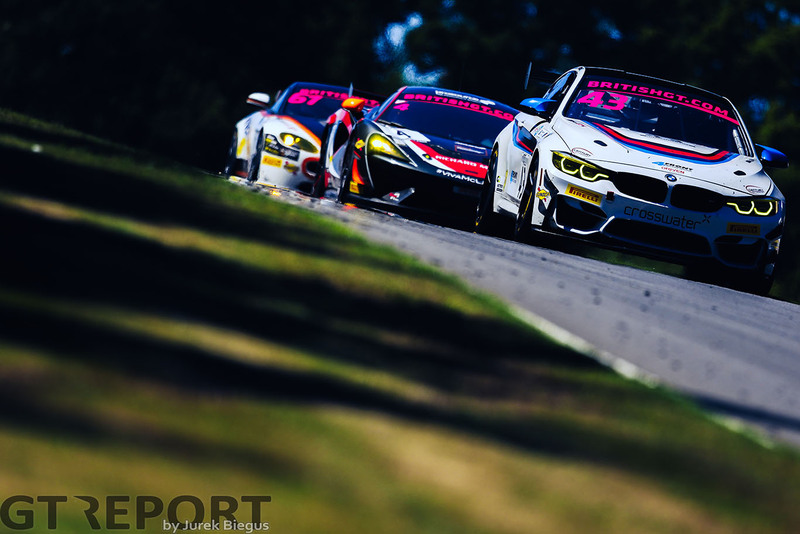 In just the first season of running BMW’s M4 GT4, Century Motorsport are in the prime position to walk away with the title as Jack Mitchell leads team-mates Been Green and Ben Tuck by 10 points. 3.5 points behind the Bens is the HHC Motorsport pairing of Callum Pointon and Patrick Matthiesen. 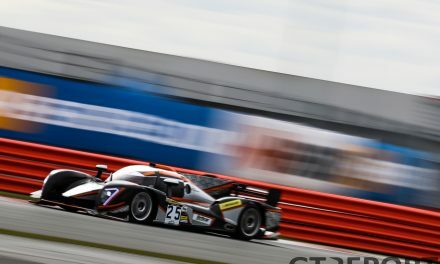 The Ginetta team won the drivers’ championship last year with Will Tregurtha and Stuart Middleton, but Pointon and Matthiesen will face a tough test if they are to overhaul the BMWs and keep the title in Yorkshire. However, the pair have scored points in every race this season, and their consistency could secure them the title. On 95 points is the Tolman Motorsport McLaren 570S pairing of Charlie Fagg and Michael O’Brien with the Academy Motorsport Aston of Matt Nicoll-Jones and Will Moore a further eight points behind. For the two crews, only victory – or second at the very least – will give them any hope of securing a first title. Things are tighter in the Silver Cup standings with Mitchell 11 points ahead of Pointon and Matthiesen. But the latter pair are only one point ahead of Tuck and Green, with the Bens only a further point ahead of O’Brien and Fagg. Equally interesting is the fight for the Pro/Am honours. As it stands, Nick Jones and Scott Malvern are in line to lift the trophy in their Mercedes-AMG GT4, but a cracking season for Martin Plowman and TV star Kelvin Fletcher in their Nissan 370Z has put them just three points behind – meaning the title will go down to a dogfight between the pair. 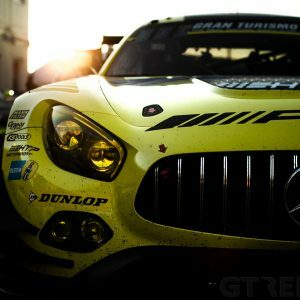 Away from the championship fight, there are a number of changes and additions to the GT4 class. 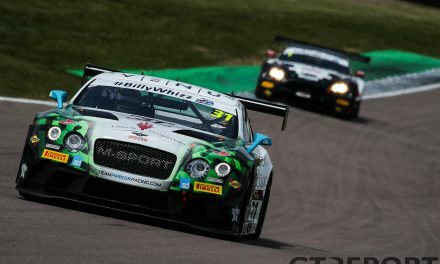 Notably, British Touring Car Championship front-runner Adam Morgan will swap a Mercedes A-Class for a Mercedes-AMG GT4 as the Cicely Motorsport team enters an example for Morgan and David Fairbrother. Adam Balon and Ben Barnicoat also return having swapped a track-club McLaren for a Balfe McLaren. 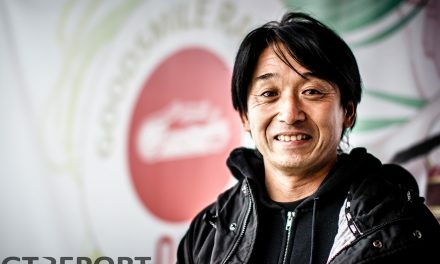 UltraTek Racing’s second Nissan 370Z is returning for the first time since the Silverstone 500 with Stephen Johansen confirmed behind the wheel. Missing out is the Fox Motorsport entry of Mike Murfitt and Michael Broadhurst after a crash in GT Cup has caused considerable damage to the Mercedes, while HHC has withdrawn its second Ginetta G55. The GTC class has its first entry since 2013 as JMH Auto enters a Ferrari 488 Challenge for John Seale and Marcus Clutton.